The incidence of coeliac disease is on the increase, especially amongst younger people. Allergies related to wheat and gluten plague many with digestive problems, allergy and mood swings. 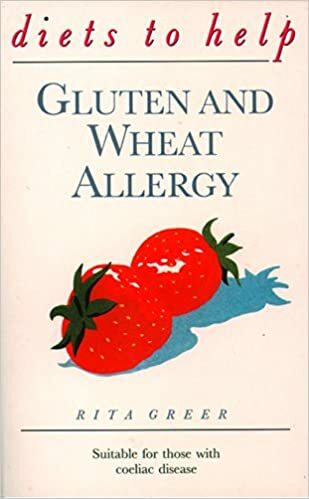 This guide provides practical advice on gluten allergy, wheat sensitivity and coeliac diseases. Also included are basic recipes, emergency menus and facts about coeliac disease. Rita Greer is an experienced diet therapist and cookery writer. She has many years' experience of coping with a gluten-free diet. Thorsons 'Diets to Help' series provides simple nutritional guidelines to help control or overcome allergies and illness. Each title is written by an experienced nutritionist or naturopath.